Medium to full bodied garnet red with slight purple hue. 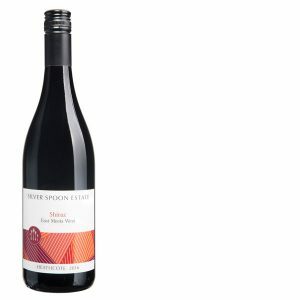 Layers of blackberry, plum and spice greet the nose and palate, with a hint of star anise and a warm, soft finish. It’s balanced and deep and will reward appropriate cellaring. 2016 was one of the driest years on record, resulting in relatively lower fruit yields, but produced very good quality grapes. Smaller berries means a higher skin to juice ratio, therefore the vines produced great colour and natural tannins. The dry weather meant that minimal spraying for pests and diseases was required, so the fruit was free from chemical intervention. All fruit was estate grown, sourced from north facing slopes of the Dowd’s Lane vineyard. The vines are unirrigated and relatively low yielding. They are cane-pruned by hand, and wrapped to a single wire trellis to encourage some bunch shading during the heat of Summer. The fruit was harvested in the first week of March 2016. 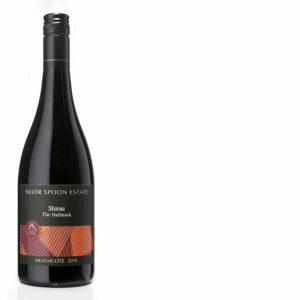 The Shiraz and Viognier were picked on the same day and co-fermented in open vats with daily hand plunging, and then basket pressed. The wine was aged for 21 months in 25% new French oak barriques and bottled in December 2016.
per bottle $28 half dozen $168 dozen $336 CLICK HERE to purchase and for full tasting notes. per bottle $55 half dozen $330 dozen $660 CLICK HERE to purchase and for full tasting notes. per bottle $35 half dozen $210 dozen $420 CLICK HERE to purchase and for full tasting notes. per bottle $32 half dozen $192 dozen $384 CLICK HERE to purchase and for full tasting notes.